This module is only used for parallel connection of the motor terminals. One drive drives two motors. 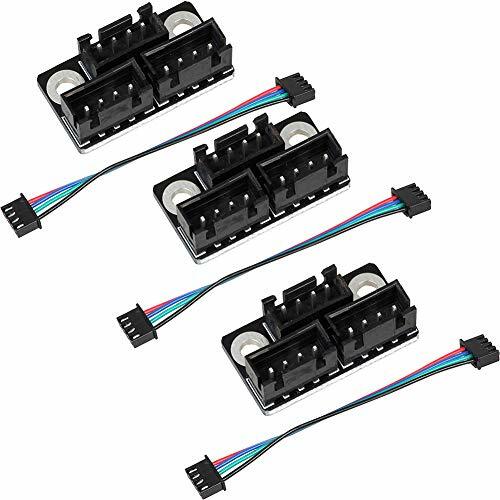 It is only suitable for parallel connection of small printers or small current motors. (The current is evenly divided when the same motor is used in parallel). 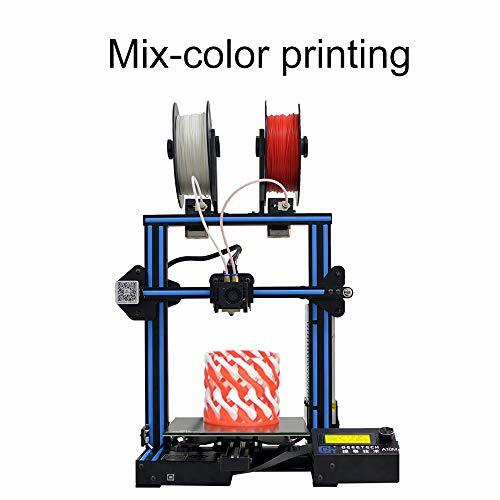 this is a 3d printer kit. 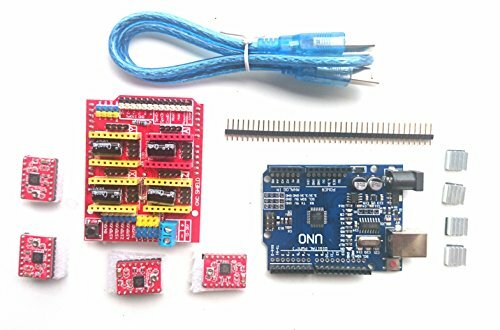 uno r3 arduino compatible board:atmega328-au single-chip installed uno bootloader.usb programming is provided by ch340g.usb-b includes connectors and cables.including the title pin.input voltage:7-15v.0-5v output,3.3v compatible input.14 digital i/o pin (6 pwm outputs).6 analog input. isp title.32k flash memory 16mhz clock speed.all smd structure.r3 shield compatible.input voltage:no external power supply connected to the computer usb,external power supply 5v ~ 9v dc. output voltage:5v dc voltage output and 3.3v dc voltage output.use the atmel atmega328 microprocessor controller. cnc shield v3:this expansion board as a drive expansion board,can be used for engraving machine,3d printer.it has four slots,which can drive four a4988 stepper motors. each stepping motor requires only two io ports.in other words,six io ? 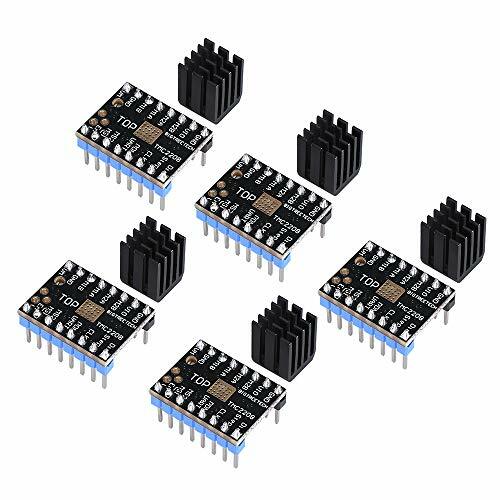 ?ports can well manage three stepper motors.use very convenient.warranty:1 * cnc shield v3.4 * a4988 step drive with radiator.1 * uno r3 mega328p ch340g. 1.Hardware selection When using the UART operating mode, use a soldering iron carefully to prevent burns and handle after observing, carefully observe whether the module has residual tin slag. It must be cleaned to prevent it.Cause the module to be short-circuited. 2.Pay attention to the line sequence and IO port when wiring. Connecting the wrong line will directly cause the driver to not work.Carefully connected to the above illustration. 3.When plugging the driver into the motherboard, pay attention to see the driving direction, never insert it, and prevent the drive burned. 4.Be sure to do the heat dissipation work (heat sink + cooling fan) before driving to prevent driving. Note:If you are having trouble using it, or if you need to use the instructions, please contact me after placing your order. TMC2208 V2.1 is a newly upgraded driver module. Compared with TMC2208 V2.0, V2.1 puts the chip inside, which is more conducive to heat dissipation. TMC2208 single-axis chip stepper motor drive, power supply tube built-in pilot current 1.4A peak current 2A, voltage range of 4.75V-36V, 256 subdivision; With the patented spreadCycle technology of high frequency chopper, dcStep , stall stallGuard2 , sensing technology, CoolStep dynamic current regulation technology, can save 70% energy.